2 hours with xtras – ratta tat too! Have to admit I for one didn’t see that one coming. Whatever happened to frost on pumpkins and such? Frank Zappa, Fake Rocker Or True Jazz Man? Attention French shoppers! Jazz Magazine‘s June issue has an 18 page special on FZ. 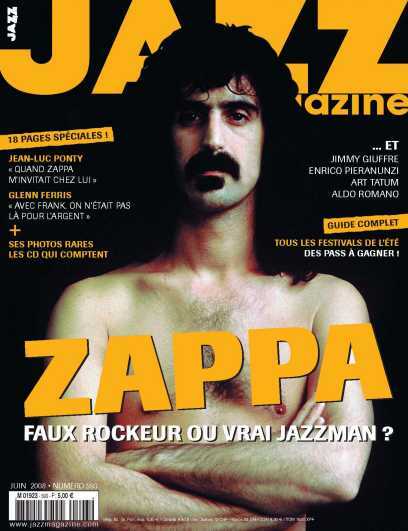 Zappa, Fake Rocker or True Jazz Man? The Grande Mothers will be kicking off a short Canadian tour next June, playing 7 venues. If you hadn’t already, check out their MySpace page! Dated October 12, 1980 and recorded in Albuquerque at Johnson Gym. October 12, 1980. The clip shows “Harder Than You Husband” with Jimmy Carl Black, and “Bamboozled By Love” with Ike Willis. Jimmy Carl Black was living in Albuquerque at the time of this concert. This video was personally authorized by Frank Zappa, it was shot to document Jimmy’s performance. Check it out. A higher res version can be found over at Zappateers. What a cool little toy, this: feed it with your Last.fm username, and it will generate a wallpaper image based on what you’ve been listening to recently. 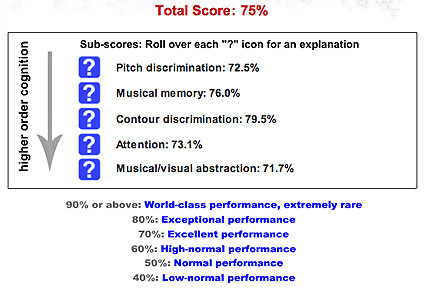 Not too shabby for a guy who’s been suffering from a hearing disability since the mid ’80s, I’d say! How are you boys ‘n girls doing? 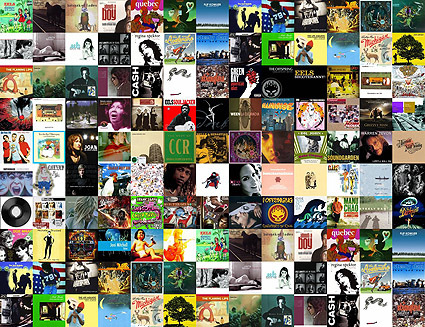 For the last ten years, obsessive record collectors in Usenet have been working on the Whitburn Project — a huge undertaking to preserve and share high-quality recordings of every popular song since the 1890s. 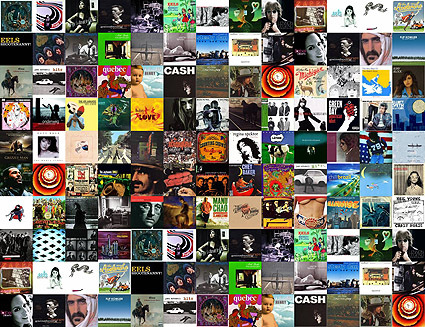 To assist their efforts, they’ve created a spreadsheet of 37,000 songs and 112 columns of raw data, including each song’s duration, beats-per-minute, songwriters, label, and week-by-week chart position. It’s 25 megs of OCD, and it’s awesome. Don’t miss the follow-up on One-Hit Wonders and Pop Longevity. Continuing on with the theme of great, underrated guitarists is this video of Lindsey Buckingham performing “Shut Us Down” from his 2006 solo album, Under the Skin. This album features Buckingham on almost all instruments, with the exception of two tracks that feature John McVie and Mick Fleetwood from Fleetwood Mac. Unlike many rock guitarists, Buckingham does not use a plectrum, or a pick. Instead, he uses his fingers and fingernails, which is showcased in this video. Another solo album is expected sometime in 2008. A CD/DVD combo of his Fort Worth concert in January 2007, entitled Live at the Bass Performance Hall, was released on March 25 2008. Everyone loves a good conspiracy theory, right? How about one that exposes Frank Zappa (among others) as being part of a huge undercover operation run by The Military-Industrial Complex™, the goal of which was to infiltrate, and subsequently neutralize the “hippie movement”? Oh yeah! And so it goes as one scrolls through the roster of Laurel Canyon superstars. What one finds, far more often than not, are the sons and daughters of the military/intelligence complex and the sons and daughters of extreme wealth and privilege – and oftentimes, you’ll find both rolled into one convenient package. 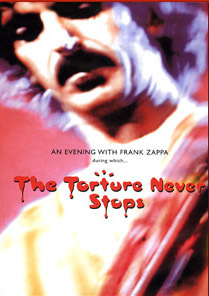 […] You might also encounter some former mental patients, such as James Taylor, who spent time in two different mental institutions in Massachusetts before hitting the Laurel Canyon scene, or Larry “Wild Man” Fischer, who was institutionalized repeatedly during his teen years, once for attacking his mother with a knife (an act that was gleefully mocked by Zappa on the cover of Fischer’s first album). Finally, you might find the offspring of an organized crime figure, like Warren Zevon, the son of William “Stumpy” Zevon, a lieutenant for infamous LA crimelord Mickey Cohen. There’s more, if by now you’re having a craving.